To get those businesses’ information out to people as well as improving their search engine results, we try to make listing in the GunLink directory as easy as possible. This guide should help make it even easier to get started today. The first step, of course, is to visit the GunLink Directory home page. From here, click on the “USER PANEL” menu item on the left side of the page (see image at right). If you are already logged in to the GunLink directory system, you can skip ahead to the “User Panel” section below. Otherwise, keep reading. If you already have a GunLink Directory account but are not yet logged in, you can do so from this page (see image at right). 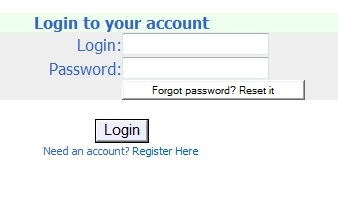 If you do not have a GunLink Directory account, choose the “Register Here” link to do so (see image at left). 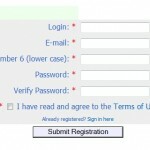 Note that this registration and login system is separate from that of the GunLink Firearms Discussion Forums, so login information is not interchangeable between the two. Rest assured that GunLink takes your privacy seriously and we will never sell or give out your registration information to third parties. Of course, your listing information will be available in the directory – but that is the point, right? 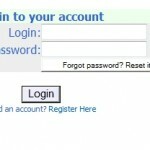 Once registered or logged into the GunLink Directory system, you will see your User Panel (image). From here, you can manage any existing directory listing by using the statistics/edit/membership buttons. 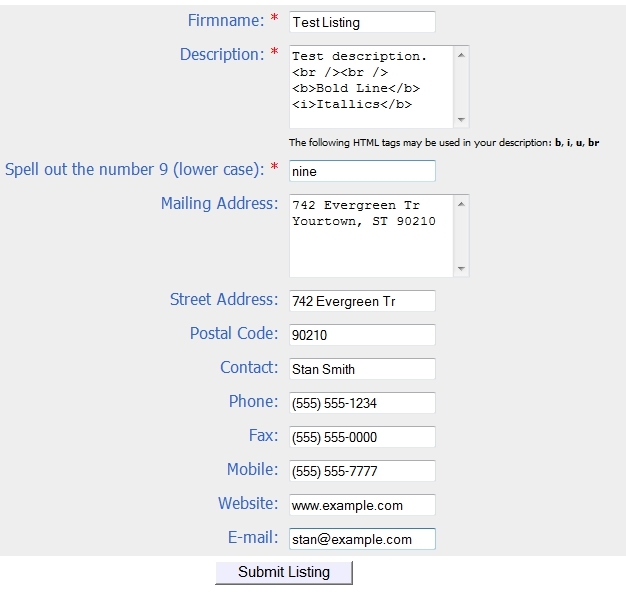 To create a new directory listing, choose “ADD LISTING” from the Site Menu on the left side of the page. The first step in creating your listing is to choose a listing level: Free, Gold or Platinum. 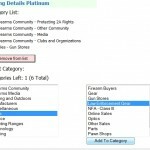 For more information on listing levels, see the GunLink Directory Level Comparison chart. The next step is to choose your listing categories. 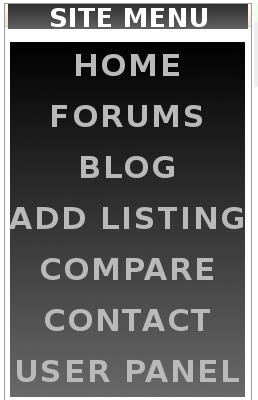 Depending on your listing level, the number of categories in which you can place your listing varies. First, choose a general category from the selection box on the left. Next, choose a more specific category from the selection box on the right and click the “Add To Category” button. Repeat this step as necessary to add multiple categories. The next step is to add the meat of your listing – your business details. Again, the amount of detail for your listing depends on the level of your listing. Details can include your business name, description, physical/mailing address, telephone and numbers, website and email addresses, company logo and more. If you are creating a free GunLink Directory listing, after entering your business details, your work is finished. 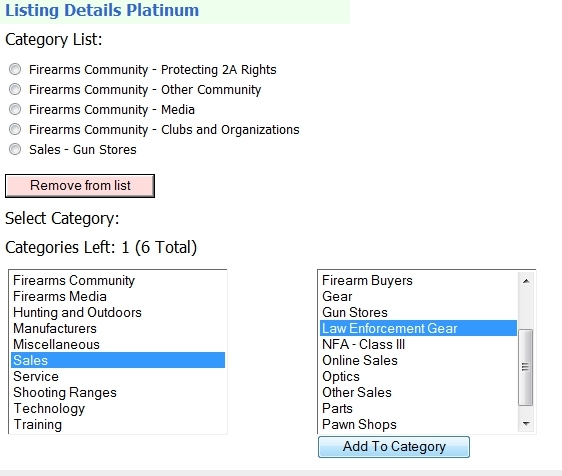 If you are creating a paid Gold or Platinum level GunLink Directory listing, all that is left for you to do is to pay for the listing. Once submitted, your listing will be manually reviewed and approved before being entered into the directory. This usually happens within 24 hours. 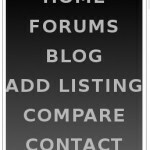 At this point, your listing is ready to be found by potential customers, firearms enthusiasts, search engines and more. We may also, from time to time, promote directory listings through our social media channels.